Therapeutic Touch® is a type of energy medicine (a class of alternative medicine that also includes Reiki and acupuncture). 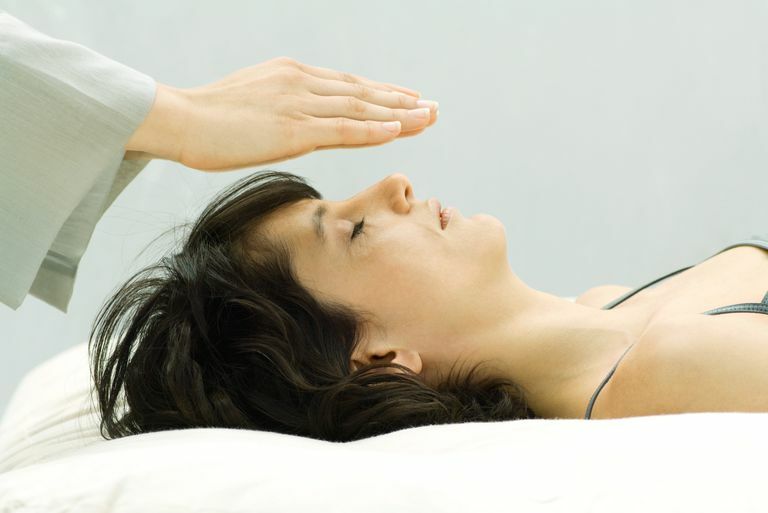 In a typical Therapeutic Touch® session, the practitioner places his or her hands over the patient's body (usually without making contact) and performs a series of techniques meant to re-balance the patient's energy. By improving the patient's energy flow, Therapeutic Touch® is thought to stimulate healing and help treat a range of health conditions. In many cases, Therapeutic Touch® is used in combination with standard medical care. Practiced in hospitals across the United States, Therapeutic Touch® is often performed by nurses. Therapeutic Touch® may be of some benefit to people with dementia, according to a study published in 2009. The study involved 65 nursing-home residents with dementia, each of whom was assigned to one of three groups: The first group received Therapeutic Touch® with contact on the neck and shoulders, delivered twice daily for 3 days; the second group received a sham version of Therapeutic Touch® treatment; and the third group received routine care only. Analyzing their findings, researchers determined that Therapeutic Touch® led to a greater reduction in restlessness (compared to the sham treatment and routine care). In a 2001 study of 21 people with carpal tunnel syndrome, researchers found that Therapeutic Touch® was no more effective than placebo in treating the condition. Study participants underwent treatment with either Therapeutic Touch or a sham version of the therapy once weekly for six consecutive weeks. For a 2007 study of 82 women undergoing biopsies for suspicious breast lesions, researchers assigned subjects to receive either Therapeutic Touch® or a sham treatment (administered during the biopsy). Results showed that Therapeutic Touch® was no more effective than the sham treatment in terms of its effects on discomfort or anxiety. Therapeutic Touch® may help ease the pain of osteoarthritis, according to a small study published in 1998. For the study, researchers assigned 25 patients with osteoarthritis of the knee to treatment with Therapeutic Touch®, sham Therapeutic Touch®, or standard care. Compared to subjects who received the sham treatment or standard care, members of the Therapeutic Touch® group experienced significantly greater decreases in pain and dysfunction. Some individuals may experience certain side effects (such as restlessness and irritability) when undergoing the treatment. If you're considering the use of Therapeutic Touch® for any health condition, make sure to consult your physician before beginning treatment. It's also important to note that self-treating and avoiding or delaying standard care may have serious consequences. American Cancer Society. "Therapeutic Touch". Blankfield RP, Sulzmann C, Fradley LG, Tapolyai AA, Zyzanski SJ. "Therapeutic touch in the treatment of carpal tunnel syndrome." J Am Board Fam Pract. 2001 Sep-Oct;14(5):335-42. Frank LS, Frank JL, March D, Makari-Judson G, Barham RB, Mertens WC. "Does therapeutic touch ease the discomfort or distress of patients undergoing stereotactic core breast biopsy? A randomized clinical trial." Pain Med. 2007 Jul-Aug;8(5):419-24. Gordon A, Merenstein JH, D'Amico F, Hudgens D. "The effects of therapeutic touch on patients with osteoarthritis of the knee." J Fam Pract. 1998 Oct;47(4):271-7. Winstead-Fry P, Kijek J. "An integrative review and meta-analysis of therapeutic touch research." Altern Ther Health Med. 1999 Nov;5(6):58-67. Woods DL, Beck C, Sinha K. "The effect of therapeutic touch on behavioral symptoms and cortisol in persons with dementia." Forsch Komplementmed. 2009 Jun;16(3):181-9.